Over the summer I hosted a fun girls' night out wine tasting and jewelry party. Karen, a friend of mine from back east, is a rep for Traveling Vineyard – they send you five bottles of wine, along with recommended food pairings. You have the wine and food ready to go, and your wine guide will walk your guests through the tasting, explaining the characteristics of the different wines and how the food pairs with them. In my case, my wine guide was over 2000 miles away, but she did the tasting over speakerphone and it was fabulous! Karen and I were a little unsure of how the long-distance tasting would go, but it was surprisingly easy to do. It helped that Karen is very good at what she does and made it fun for all of the guests! I paired the wine tasting with a Chloe + Isabel pop-up shop. I set up a display of jewelry so my guests could shop, snack, and sip – not a bad way to spend an evening. I had fun creating little printable Chloe + Isabel-themed wine glass tags and setting up the table with wine and food pairings - thanks, as always to Pinterest for the inspiration. 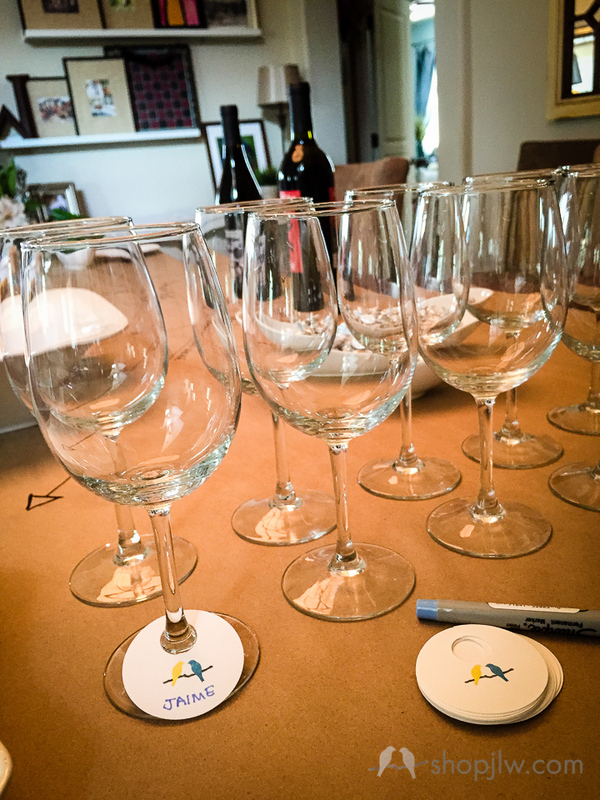 If you're interested in hosting a Traveling Vineyard wine tasting, contact Karen – I promise you and your guests will have a wonderful time! And if you'd like to host a Chloe+Isabel pop-up shop of your own, either locally or long-distance, email me and we'll get the ball rolling! You can earn tons of free jewelry just in time for the holiday season.